Most of the students have been participating a vast of your upcoming examinations. We thought of helping you by giving out daily current affairs quiz on banking, insurance and other examinations that will boost up your mind and prepares for the various exams and it helps to crack a lot of examinations. The current affairs and quiz contain mainly excepted questions which match with the exam pattern for the Government job exams and bank exams. 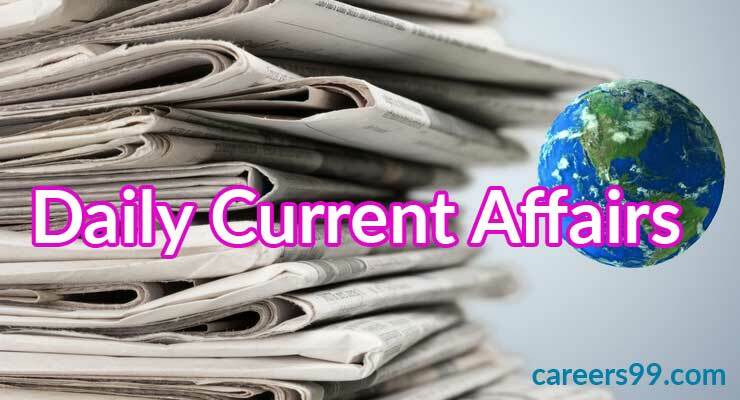 We pushed the current affairs quiz August 5th, 2018 and check the preparation level. By checking the current Affairs today you may also check the yesterdays Current Affairs Quiz and try to attempt 20 bits correctly. Tamil Nadu, Gujarat, Haryana, Maharashtra, Kerala, Andhra Pradesh, Telangana, Karnataka, and West Bengal followed by National Capital. 20 states and 1 Union Territory was ranked and was based on 6 pillars land, labor, Infrastructure, Business perceptions. Jai Ram Thakur a Chief Minister of Himachal Pradesh had launched a program named No Horn. Apart from that, he establishes a statewide mobile app named Shoor Nahin. The Jai Ram Thakur said that the state is well known for Healthy and Pleasant Climate and he also said the state has peaceful Environment. He also said that playing Horn is not only causing Noise pollution and it is very harmful to Health also. French company IDEMIA, a global leader in augmented identity, said it has become the first company to be given the certification to manufacture and personalize RuPay chip contact and contactless cards on the qSPARC v2 platform. The Reserve Bank of India (RBI) has allowed non-fund-based umbrella organizations at State levels, where respective State federations will take the lead.